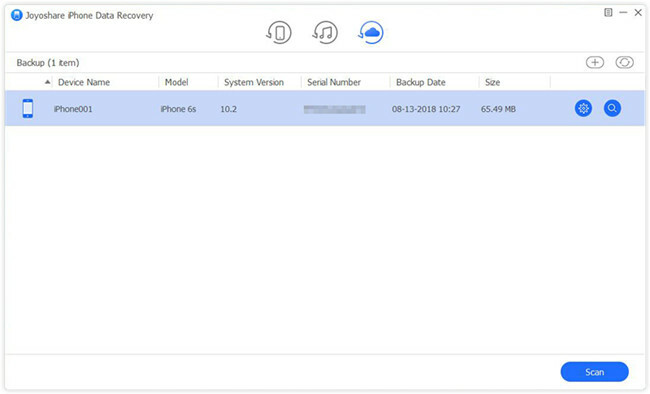 [Fixed] Can I Recover Call History from iCloud? It is common to forget to store important numbers from call history to contact list, just like Bailey experienced. As you know, the call history records all incoming calls, outgoing calls, missing calls and cancelled calls. Sometimes the deleted call history may be needed in the near future. However, an iCloud backup can make things easier. 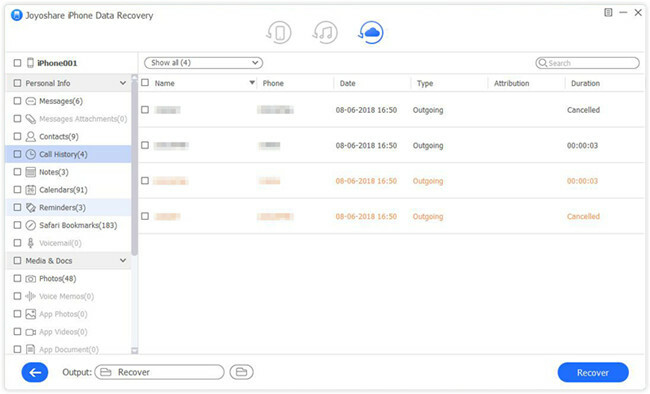 With it, you can recover call history from iCloud directly on iPhone or via iCloud backup extractor. Keep reading now. For all to get deleted call history back from iCloud backup, the most noteworthy thing is how to perform a data recovery task without losing or overwriting existing data. This is actually pretty easy to implement as long as you have a dedicated 3rd-party iPhone call history recovery. Such an outstanding software can help you quickly scan and analyze iOS data, call history included, stored in your iCloud backup and completely protect current files. There are all types of tools in market that can be adopted to do this job. But Joyoshare iPhone Data Recovery is one of the most reliable programs. It functions to retrieve over 20 kinds of iOS data, like call history, contacts, Safari bookmarks, notes, photos, videos, messages, calendars, reminders, etc. Furthermore, it allows you to download partial files from iCloud backups, preview results in real time and selectively choose desired items before recovery. Following in-depth guide can work well on the condition you have synced and backed up your iPhone data, including call history, to iCloud prior to data loss. This method is also applicable to recover other supported and recoverable iOS data files that saved on any models of your iOS device. 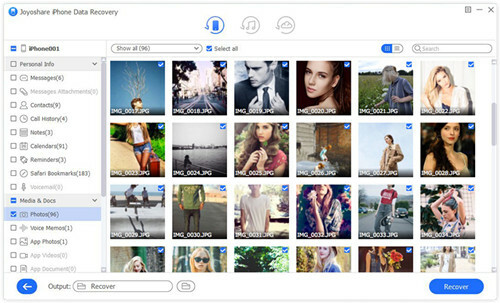 Download, install and launch Joyoshare iPhone Data Recovery on your computer. 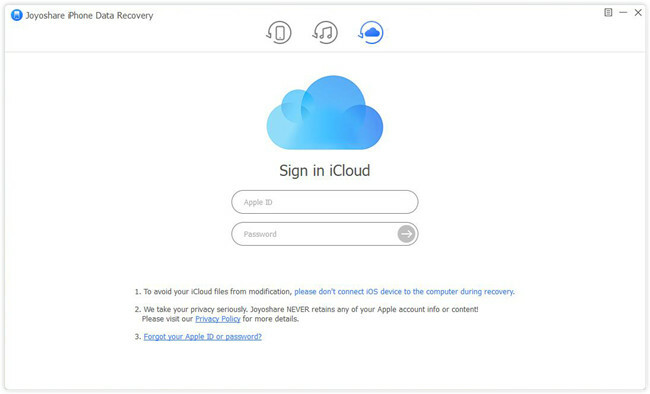 Log in your iCloud account with Apple ID and password under "Recover from iCloud" recovery mode. If you have turned on "Two-factory Authentication" on settings, you will be asked to enter the received random code after type in iCloud account. Don't worry. No records will be taken for your privacy and content. Note: After open Joyoshare iPhone Data Recovery, you can go to "Menu" > "Preferences" > "Recover" to set up data format, output storage location and more. Joyoshare will detect and display all your previous iCloud backups in a list. Pick up the most relevant one and press its "Download" button to download it right away. Next you can hit the "Setting" icon to confirm data types. Choose "Call History" and more file types at your own will. Then simply click on "Scan" button to start to scan iCloud backup. The amount of data you have determines how long you scan. Soon after, you will see all found results in different categories. Go ahead to "Call History" to look through all recoverable data. After preview and selection, you can go to restore them selectively with a "Recover" button at the right bottom. Besides, you are enabled to straightly restore call records from iCloud if you have turned on "iCloud Backup" option on settings. This method requires no 3rd-party program installation, but it can cause you to lose data and overwrite your iPhone's current data. Worse yet, there is no access to preview and select data from iCloud backup. Anyway, you'd better keep both pros and cons in mind. 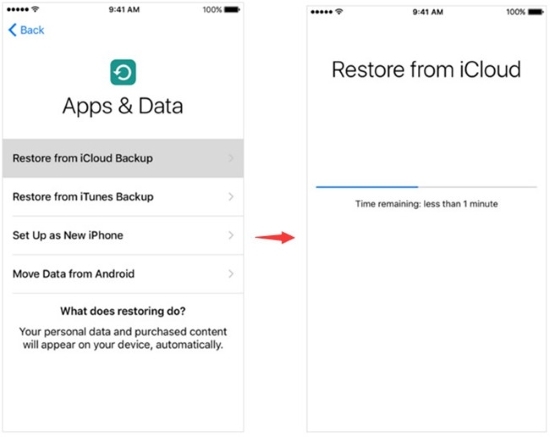 Step 5: Choose one iCloud backup for recovery; keep network connection all the time until the recovery process ends.